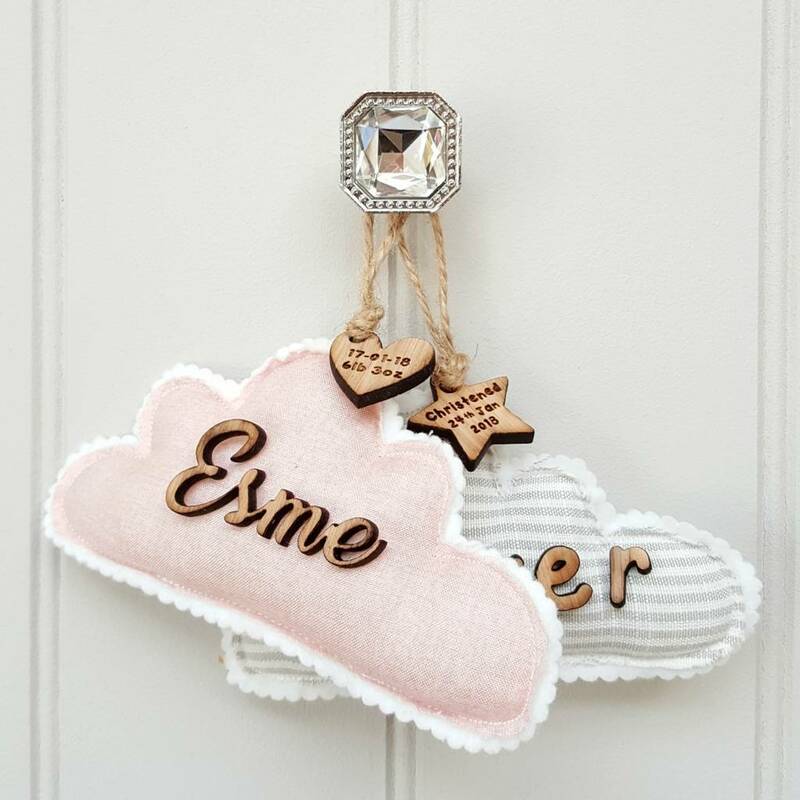 A handmade Baby's Name Cloud with wooden name and heart or star message, perfect Nursery decor for a new baby, christening or naming day. 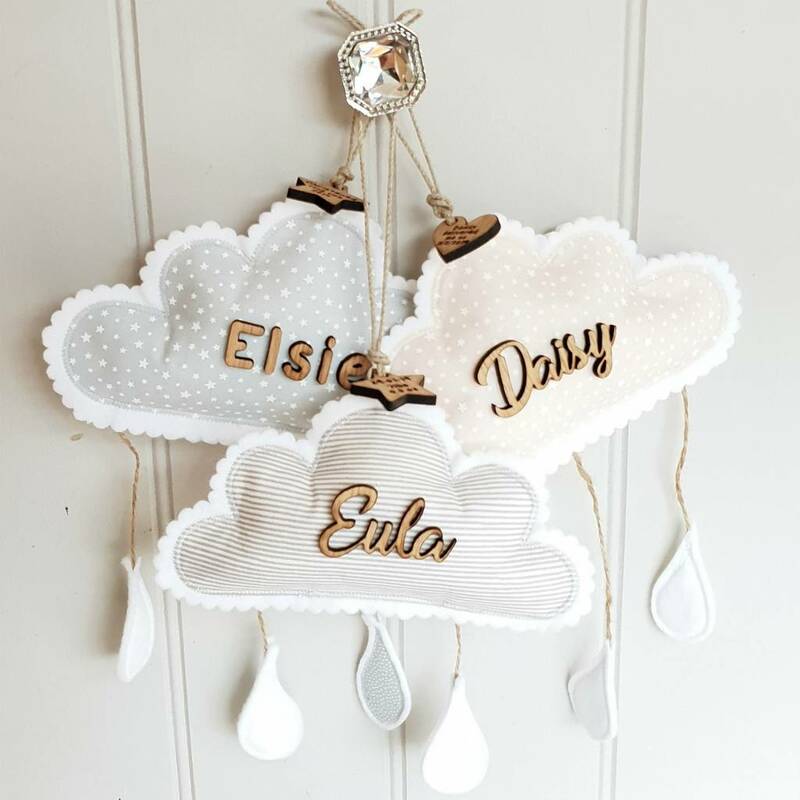 This little cloud is a lovely addition to baby's room, a little something to celebrate the birth of a new baby, christening or naming day, perfect for those that lack in space. 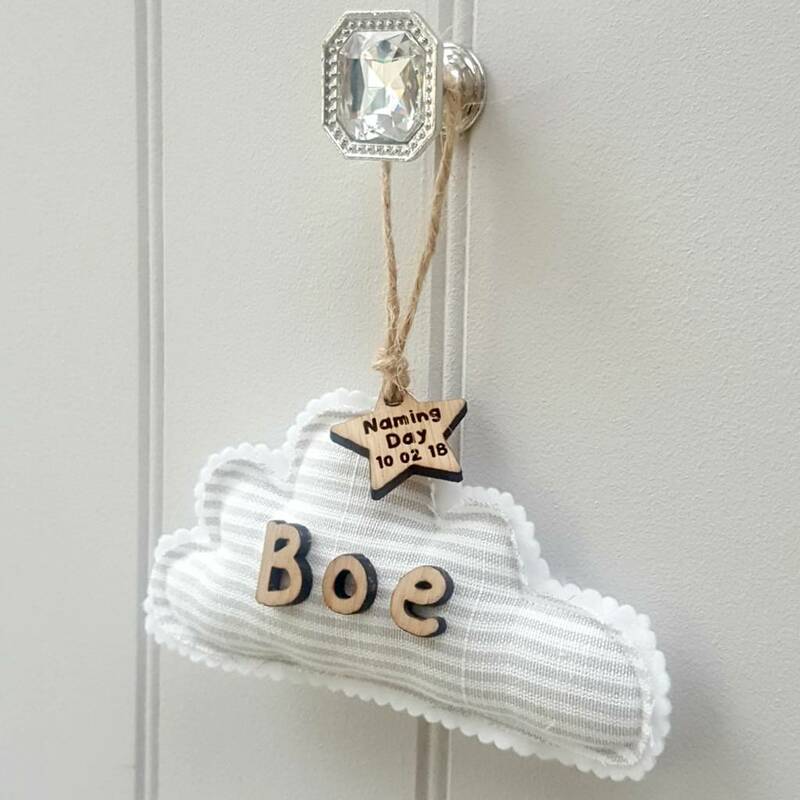 A unique gift, made from quality natural fabrics filled with eco friendly stuffing and attached with a delicately cut piece of oak engraved with your personal message. Finished with a jute string hanger I am sure it willl be adored for many years to come. 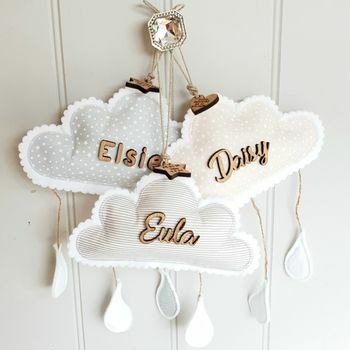 We make it in quality cotton fabrics,the backing side of each piece is white felt showing a white fluffy edge effect viewed from the front of the cloud. Please note this gift is not a toy and should be hung out the reach of babies and small children. 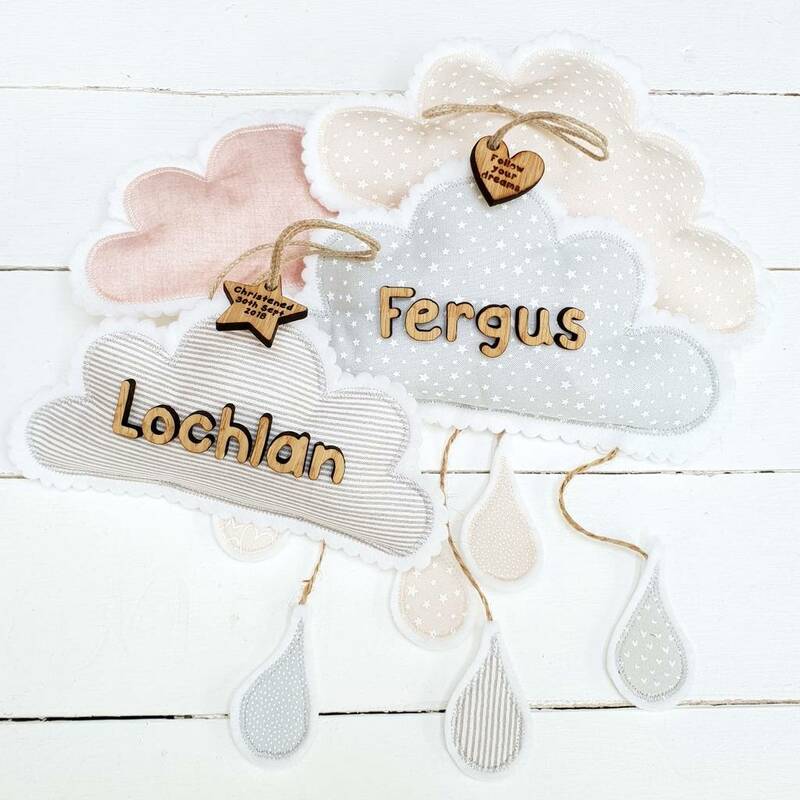 Our full handmade range of baby hangers are available on our storefront, be it a giraffe, pink or blue elephant, a flamingo or simple cloud designs. We lovingly engrave our artwork in our Little Foundry workshop based in Dorset,making a thoughtful 3D gift. 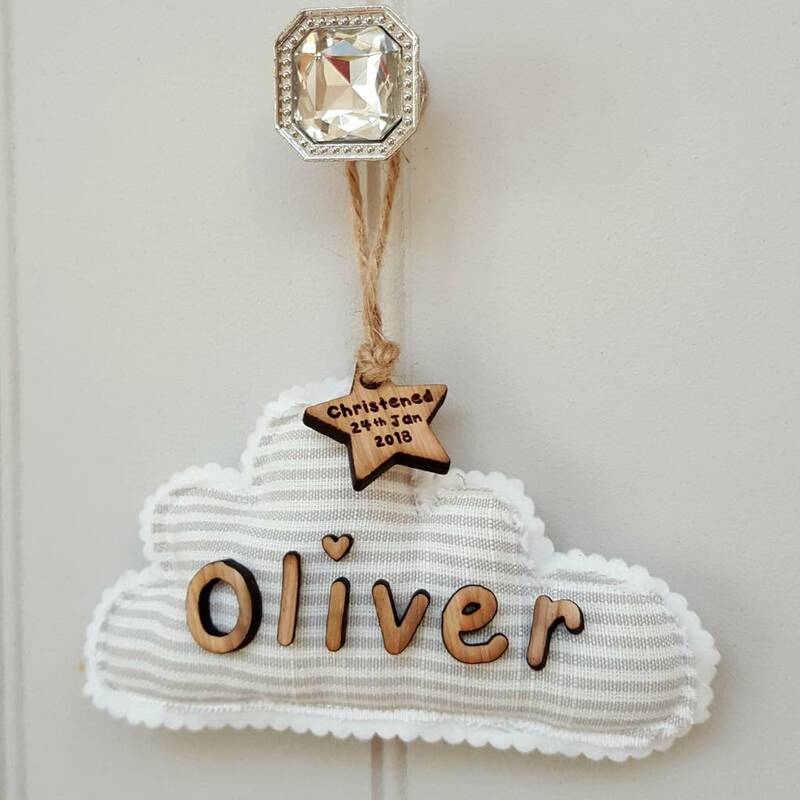 Artwork: hand cut cloud, quality cotton fabric, oak wooden name and hear/star detail. 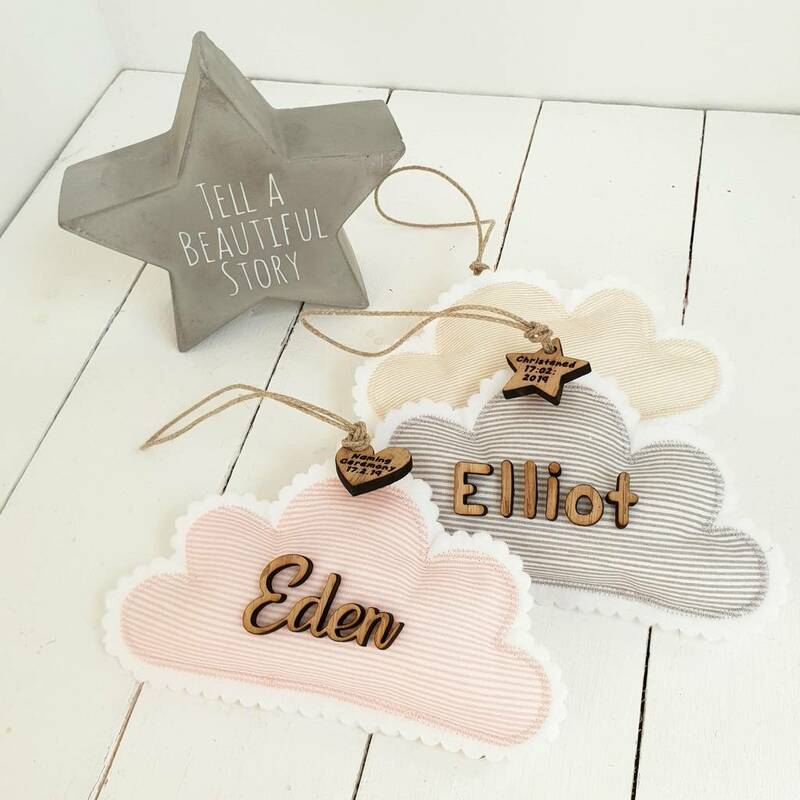 Please note the more detail you would like us to engrave the smaller the text. This product is dispatched to you by Little Foundry.